When we travel to a city for a visit; the entire family chooses at least one activity for our "must-do", "must-see" travel itinerary. 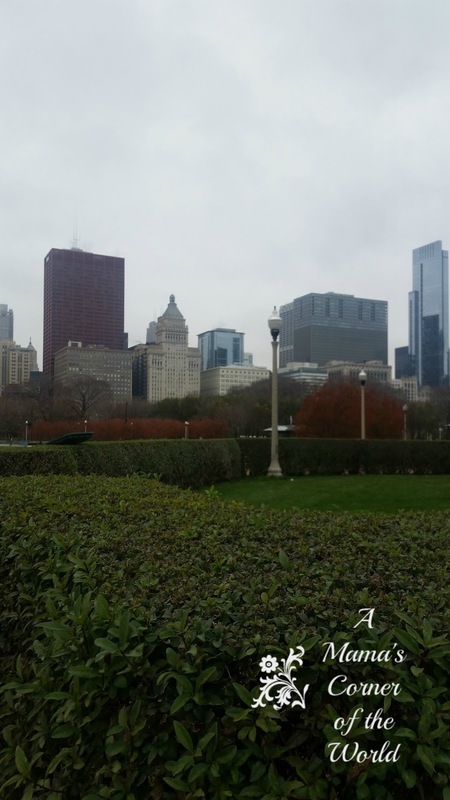 When we visited Chicago a couple of months ago (in November), we all set to work on our online research and everyone seemed to choose Millennium Park as our "must visit" location during our brief Chicago adventure. We all had different reasons--but, Millennium Park caught every one's interest from the youngest through Mom and Dad! We were able to schedule a visit to Millennium Park into our already busy weekend--and we are so glad that we did. 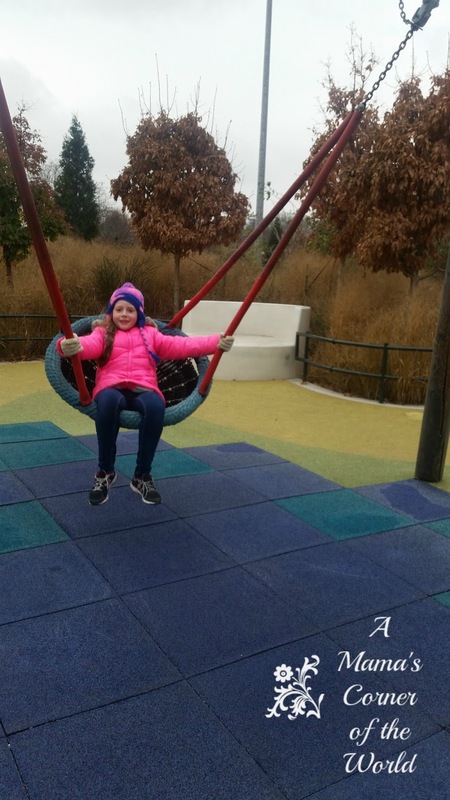 We wanted to share a few tips and things that you should know about visiting Millennium Park (and the adjoining Maggie Daley Park and Grant Park green spaces) in Chicago. 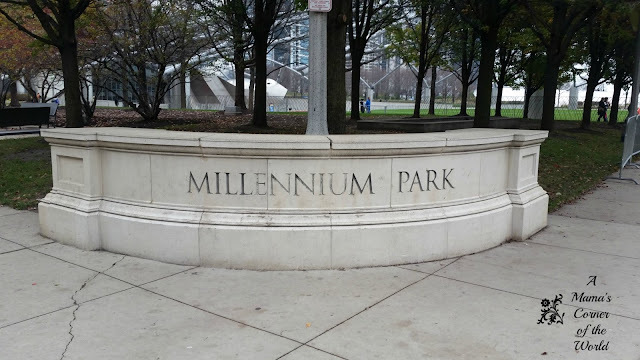 What is Millennium Park? 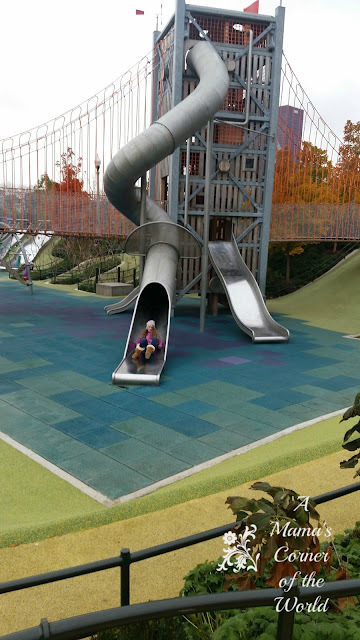 As a Columbus, Ohio, resident--I appreciate our city parks--and we do have a wonderful park system in our city with great, family friendly programs and offerings. However, Millennium Park in Chicago is simply amazing. This massive, urban green space was once an industrial wasteland--railroad owned, dark, desolate space turned into a city center with parks, exhibits, performances, vendors, art and more. Today, visitors will find a state-of-the-art collection of architecture, landscape design and art that provide the backdrop for hundreds of free cultural programs including concerts, exhibitions, tours, and family activities throughout the year. 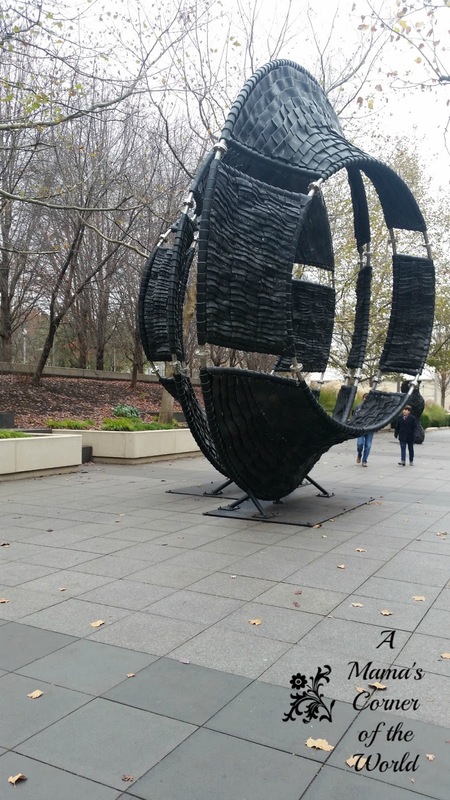 In Columbus, we could (sort of) compare Millennium Park to Columbus Commons--but, our scale is MUCH smaller. 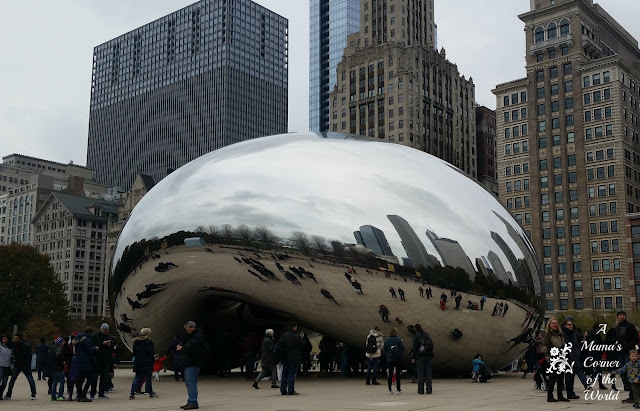 Millennium park is essentially, the downtown destination for families in the heart of Chicago--and it's popular for locals and visitors alike. 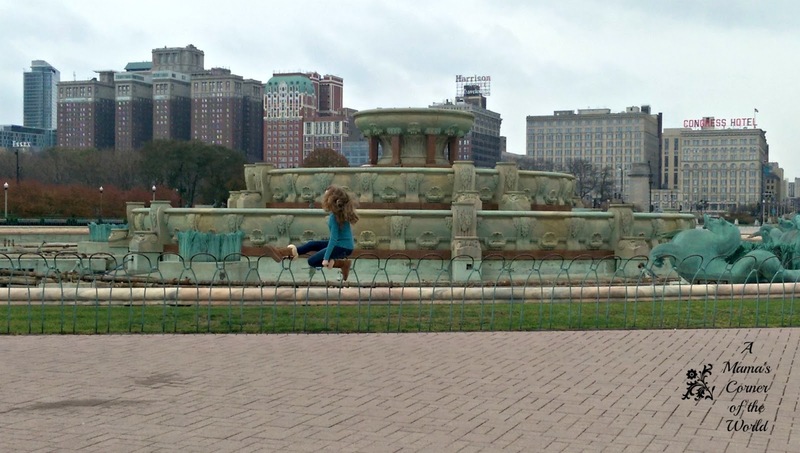 This park is one of the most popular tourist attractions in Chicago. 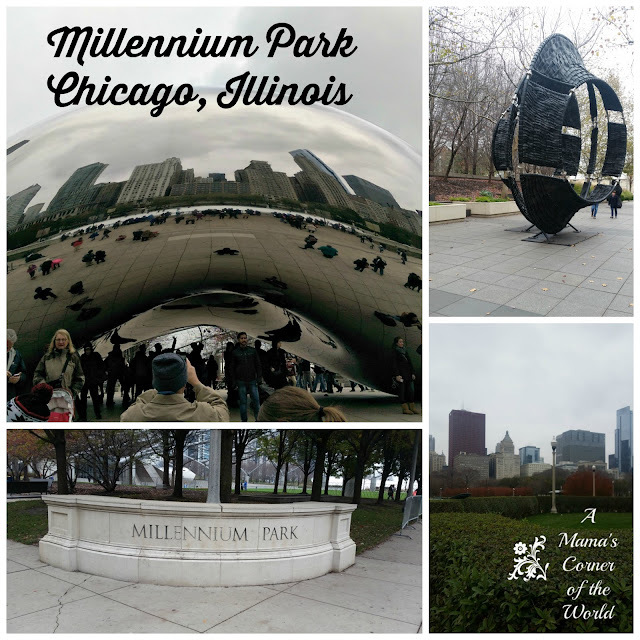 What should you know about visiting Millennium Park in Chicago? Visit the sculptures on display. It's hard to blink in Millennium Park without finding a piece of art or architecture to marvel over. Take some time to appreciate the talents and efforts on exhibit throughout the park. Walk through Lurie Garden. The gardens surrounding the park are lush and lovely--even in cold weather months. I'm sure that they are loaded with color during warmer months! When you walk through these gardens--it is very easy to forget that you are in the downtown area of a major U.S. city! Enjoy the Cloud Gate. Plan to visit the Cloud Gate--or The Bean--early--or struggle to find your space in the ultimate "selfie capture" zone. 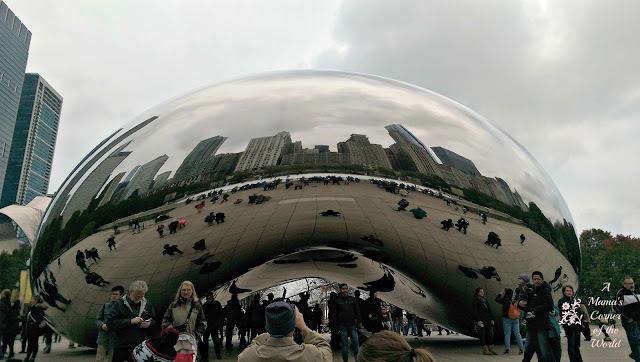 The Cloud Gate Sculpture is beautiful--and it is incredible to see the various "reflections" of downtown Chicago offered from the sculpture's sides. Plan to check out the Fountains. Crown Fountain is the big attention grabber at Millennium Park--but, since it was cold...and I was clueless--I didn't even realize that the Crown Fountain complex existed! While photos online tell me that the Crown Fountain is impressive--don't forget the nearby Charles F. Buckingham Memorial Fountain--an easy walk away in Grant Park. (Literally--minutes away!) It's a beautiful, urban fountain--even when it is down for the season. Be on the lookout for other activities in the park as available. 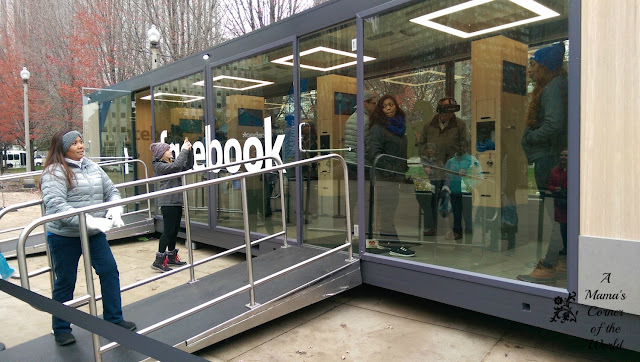 Facebook was sharing a virtual reality experience near the Cloud Gate during our visit. The ages were restricted to 13 & up--but, the husband and older daughter were able to share the kiosk-style, virtual reality experience. Later, both of them chose this FREE virtual reality experience as a Chicago trip favorite memory. So--be on the lookout for those extra activities and special exhibitions during your visit! If you visit with kids, you need to venture down the street for activities in Maggie Daley Park. 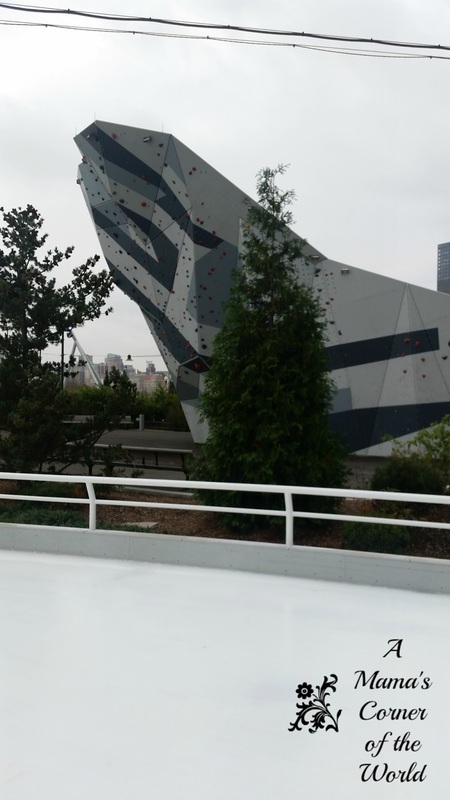 Maggie Daley Park offers a huge green space maze and a fun, magical, children's playground--as well as an ice skating ribbon (with skate rental)--and warm weather activities like a climbing wall. Consider a visit to the Navy Pier or the Art Institute of Chicago We didn't allow enough time in our visit to enjoy either the Navy Pier nor the Art Institute of Chicago--although we practically walked by both during our visit to Millennium Park (and Maggie Daley Park) when we were in Chicago. If you want to visit these downtown, Chicago attractions, check their websites for combination admission tickets, promotions or special engagements available during your visit. Plan to walk a few blocks into Chicago. We window shopped on one of the city's diamond districts, we wandered a street near Chicago's Trump Tower, and we ventured into some shops and restaurants. Enjoy the food. I am told that concessions and food trucks dot the downtown parks during warmer weather months. We visited in late November--but, we were still within easy walking distance of Chicago food finds. 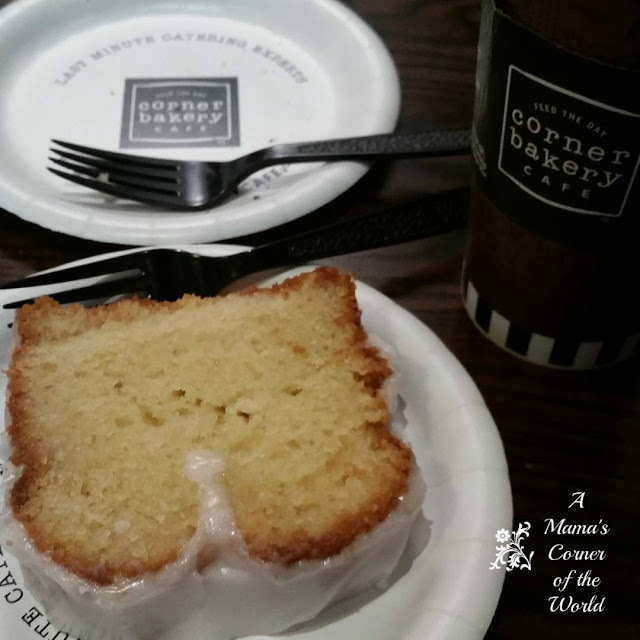 We warmed up with mid-morning drinks and a snack at Corner Bakery Cafe. Consider Purchasing Parking in Advance--or Take Advantage of Parking Specials. You may visit the Millennium Garages Website and opt to purchase parking vouchers online for your visit--or plan to visit and pay at the garage. Simply be aware that some of the garages offer "Early Bird Parking" rates--but, some of those lots require a minimum parking time or you pay the full rate upon exiting the garage. (For example--We noticed that our lot offered an early bird parking rate that was nearly half the regular parking rate price. We parked before the "early bird time"--but, we had to park in that lot for at least 6 hours to redeem that discounted rate. Our schedule only allowed for a 4 hours visit--so we paid full lot price for our parking.) Be sure to read the fine print of your parking purchase--and take a picture of your parking location. It's easy to GPS your way back to your car from anywhere in downtown Chicago--But only if you remember where you parked! Visit during warmer weather months when the area is most active. On my bucket list, you will find a summer time trip to Millennium Park. I would love to visit when street vendors are everywhere, kids are in the fountains--and shows are scheduled in the theater. It was nice to visit in the late fall--but, I would love to see the area in full swing! Take a lot of pictures at Cloud Gate. It's a cool experience. Even if you hate selfies--you need to take a few selfies here. Especially of you with the family! Don't feed the pigeons. Really. There was a lone officer (I'm not sure if she was a police officer or a park officer or a security officer) enforcing the "do not feed the pigeons rule". There was no sign that I noticed--but, there were a lot of pigeons--and a lot of kids ready and willing to feed them everything from popcorn to granola bar leftovers. The lone officer reminded everyone (over and over and over and over and over again) that we were not allowed to feed the pigeons. Expect Crowds. Millennium Park is a popular place--even in the cold weather months. Expect to wait your turn for selfies at Cloud Gate or stand in lines for activities.